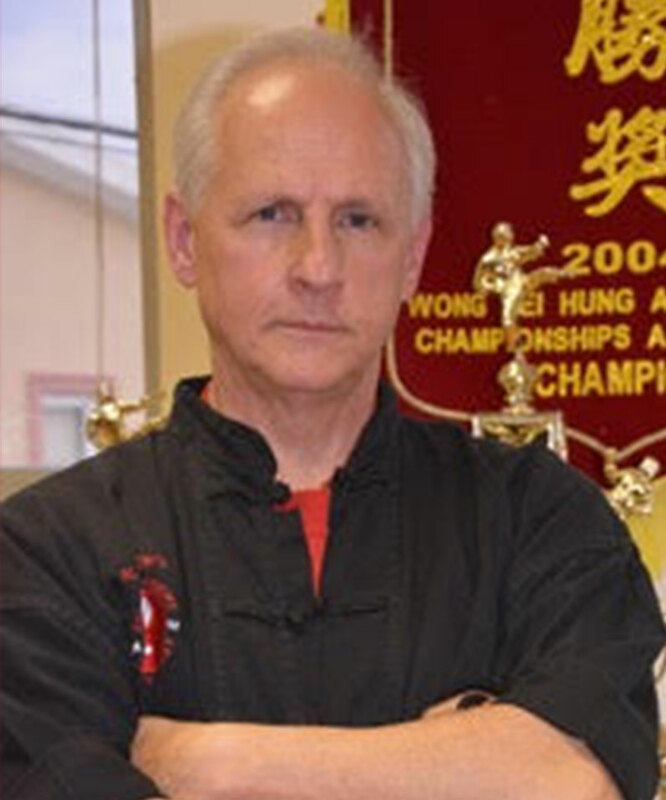 In 1977, Al Bender began training at Peter Kwok’s Kung Fu Academy under the instruction of Sifu Gary Torres. In 1978 he became a teaching assistant and in 1979 he was promoted to Chief Instructor. In 1980 Bender was promoted to Black Sash earning him the title of “Sifu” which, roughly translated, means “father-teacher”. 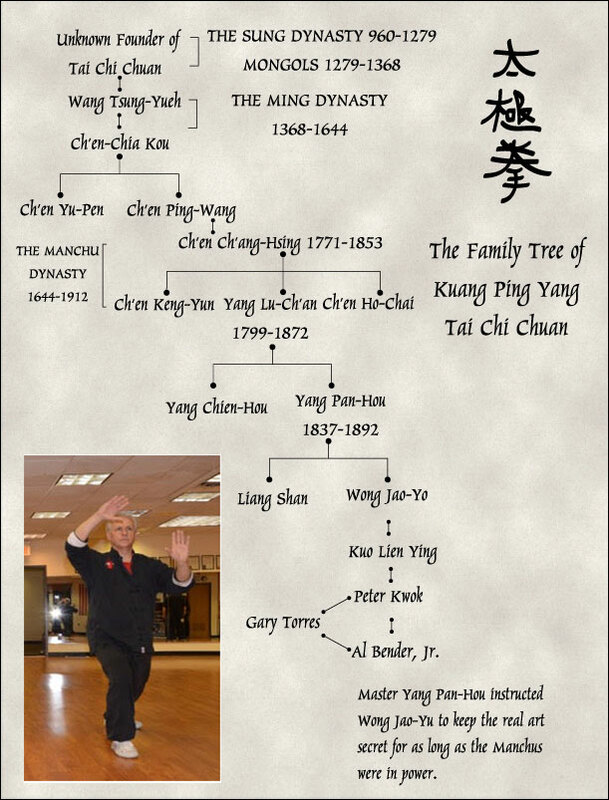 In 1981 he was accepted as a personal and private student of Grandmaster Peter Kwok and later that year opened the Peter Kwok’s Kung Fu Academy in Verona, New Jersey. In 1983 he opened The Kung Fu Academy of New Jersey in Bloomfield, changing the name to Al Bender’s Kung Fu Academy of New Jersey in 1996. Through the years, Sifu Bender has competed successfully placing in over 50 tournaments in New York, New Jersey, and Connecticut. A ranked competitor by various martial arts publications, his credits include a #1 ranking in Weapons in the New York and New Jersey area by Karate Illustrated Magazine (1985) . In 1984, he became a student of world renowned Master Bow Sim Mark of Boston, with whom he is still associated today. His Academy is the New Jersey branch of Bow Sim Mark’s Tai Chi Arts Association. Sifu Bender has the honor of being the first person in the United States certified by Master Mark to teach Yang Style Simplified Tai Chi Chuan. An active tournament official in the metropolitan area, he has trained many successful tournament competitors. He is a three time nominee for Inside Kung Fu magazine’s Instructor of the Year, and is a 1998 inductee into The Garden State Games Karate Hall of Fame. In 1998 he was also inducted into The United International Kung Fu Federation’s Hall of Fame in New York as “Sifu of the Year.” Bender and his Academy have been the subjects of numerous newspaper articles including a large feature in the New York Times which is proudly on display at the Academy. Bender has performed on television and at numerous private functions, lecturing on the health, exercise and self defense benefits of Kung Fu and Tai Chi training. He has also appeared at Aaron Banks Oriental World of Self Defense with Kung Fu associate Sifu Marilyn Cooper of California and has performed many times in Boston at the request of Master Bow Sim Mark.